Stockton Lawn Care Service Leaves Yards Looking Great. Stop Doing It Yourself, Call Lawn Care Stockton For A Great Looking Yard. Doesn't seem like you are becoming more and busier these days? You work and work, fight traffic to get to work, shuttle kids here and there, run errands after work, and come home only to have to cook and clean. Sure we have more technology and things like apps to give us rides and apps that deliver food to our very doorsteps, but somehow, we still seem to be falling short on time all of the time. So, when it comes to maintaining and keeping your lawn and garden nice and tidy, who really has the time for it? You need your lawn mowed. You need your lawn fertilized. You need your bushes trimmed. You need some serious lawn care service for your home here In Stockton, CA but you just can't seem to get to it. Well, we're here to tell you that you don't have to worry about that anymore. We are your local lawn care service providers that can handle all of your lawn care needs. We can do it all. In fact, we do it all. Our objective, our mission statement, soda-speak, is to save all of our customers and clients TIME. That's what we really offer here at Lawn Care Stockton. Time. We understand that it is precious and we don't want you wasting it on things that someone else can do for you. Let us handle all of your gardening needs and yard maintenance so that you can spend that time with your family and friends. Why waste any weekend time pulling out your old mower that, let's face it, has seen better days to mow your own lawn. (When is the last time you sharpened the blades on that thing?) Why spend any time mixing gas and oil for that old trimmer of yours and also wrestling with and fixing the string on it? Why waste another second plugging in that blower and blowing clippings out into the street that your old mower didn't pick up cause you didn't empty out the grass catcher bag in time? We can do all of that for so you don't have to. You see, we don't just roll up in an old Ford Ranger or 1999 Toyota Tacoma with a beat down old mower, a blower, and a trimmer (all though we did start that way!) and just mow n' blow. We are actual experts in proper lawn care. We don't mean to brag but we know our Bermuda Grass from our St. Augustine Grass and know the exact amount of watering, fertilizing, mowing, lawn aeration and weed preventative measure we gotta take to make a lawn look its absolute healthiest and greenest. 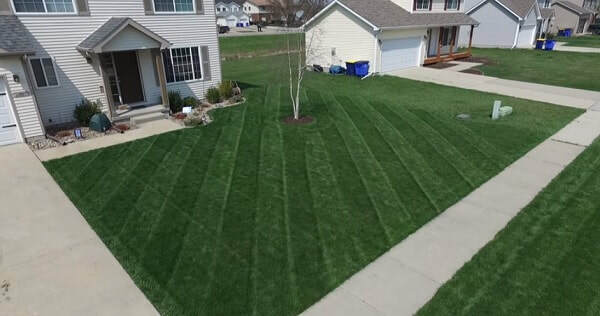 Did you know that when doing proper lawn care and lawn service for your grass that you shouldn't set your mower too low that it cuts more than 1/3 of the length of the blades of the grass? Doing that causes stress to the grass and even to the roots. Did you know that the single best way to keep weeds from starting to sprout out on your lawn is to simply make it impossible for them to grow in it? It's done by simple "crowding" them out like someone trying to sneak into a standing room only concert. If there is no room at a concert to get in, there is no room. Controlling weeds in a lawn works in the exact same way. 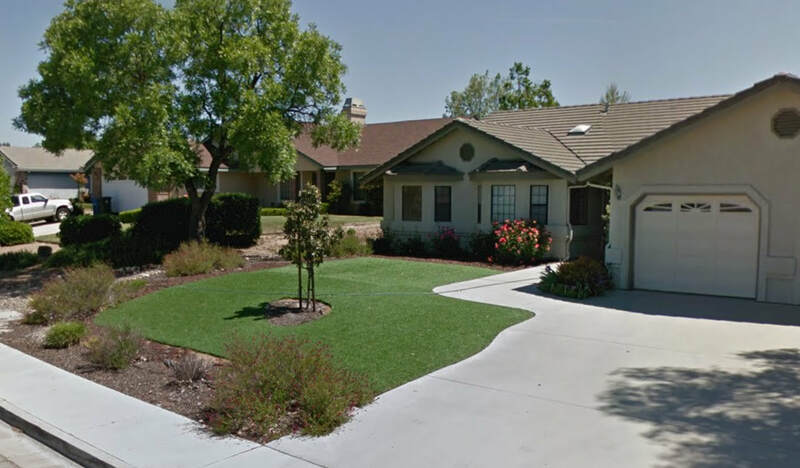 We know how to maximize the water usage restrictions here in Stockton, CA that allow for lawn watering 3 days a week so that it gives your lawn the healthiest and lushest look it can get from that amount of water. Oh, by the way, that is plenty of water for grass in this area. These are just a tiny sample of the expertise we bring to our lawn care services to your home and yard here in Stockton. Getting a hold of us is easy. Simply give us a call at 209-900-8329 and we will be in contact with you to set up an absolutely FREE lawn analysis and a special 25% off your first lawn care service if you decide to go with us. We will, of course, recommend our professional gardening service and the amount of lawn maintenance service your yard requires but ultimately, it will be your choice. We provide weekly, bi-weekly, and even one-time lawn mowing and trimming to our customers if that is what they feel they need. That option is completely up to you and your budget. The bottom line here is that our main objective is to save you time. Let us do all the dirty work. Let us aerate your lawn so that you don't have to spend any time trying to figure out how and when you should do it. Let us do all the fertilizing of your lawn and figure out the proper times of year to do it to have your yard looking its best year around. Let us trim your bushes and hedges, pull and get rid of weeds, keep and maintain your lawn as healthy and as beautiful as it can be. Your front yard gives people the first impressions of you and your home. It lets people know that an individual that takes pride in the outward appearance of their home also takes pride in even more important areas of their life. We understand that it is important to you, or else you would not be sitting on your smartphone or tablet looking for a garden service here in town. 1601 South San Joaquin St.